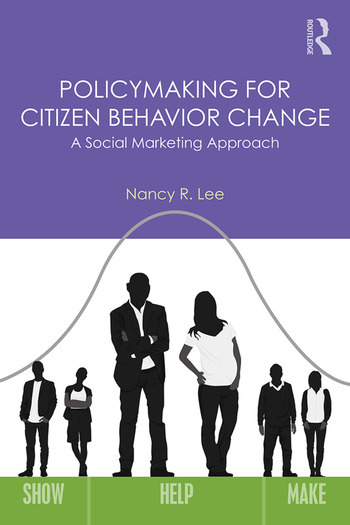 Providing a 10-Step Planning Model and examining a variety of social marketing cases and tools, including more than 40 success stories, Policymaking for Citizen Behavior Change is core reading for current policymakers, as well as all those studying and practicing social marketing, particularly in the public sector. It’s also worthwhile supplementary reading for those studying public policy, public administration, environmental justice, public health, and other programs on how to effect social change. Nancy R. Lee, MBA, has more than 30 years of professional marketing experience and is a teaching associate at the University of Washington, where she teaches social marketing in the Evans School of Public Policy and Governance.